Place Value compliments the use of hands on experiences for modelling numbers using MAB blocks. It is beneficial in instances when using real blocks is not practical. MAB or Multibase Arithmetic Blocks are wooden blocks used to help children understand the base ten properties of the numerical system. 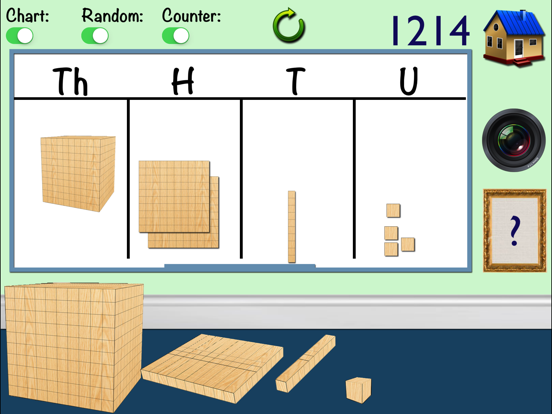 MAB encourages students physically manipulate blocks to create, build, model and explain the place value of a number. 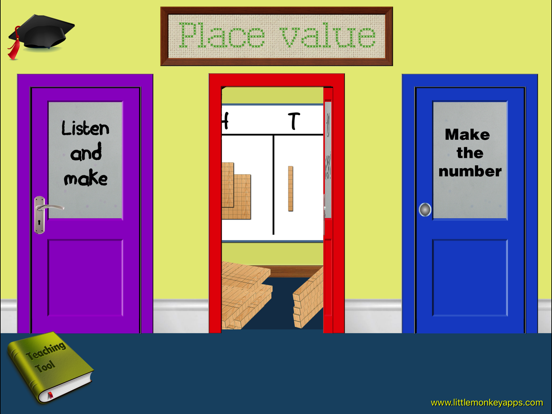 MAB can also be placed on a place value chart to aid with visualising and correctly aligning the place of each number. MAB is one way of teaching place value and should not be the only equipment used in teaching place value. For early counters real world materials should be used such as toys, teddies, marbles and beans. This should be followed by more abstract means like counters and unifix to model REAL worded problems. Before commencing with MAB, students should use icy pole sticks, straws, pencils or joined unifix with which bundles of ten can be made. Through use of variety of equipment, students will come to establish that a bundle is always ten and ten bundles of ten are one hundred. MAB is more abstract and should be introduced as students are ready. 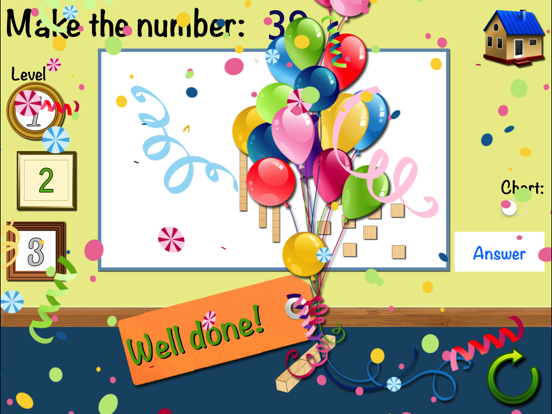 Little Monkey Apps MAB is separated into a teaching module and three corresponding activities to aid children in building, modelling and reading numbers. There are three levels within each area to provide for a range of abilities. The app is designed to be used with an educator or tutor in individual or small group teaching situations followed by independent work by the student. This section provides MAB, a removable place value chart, removable number display and removable random number generator for playing games. Read the numerical number given and use the MAB at the bottom of the screen to model the number given, pressing the answer button when finished. Three levels, Level 1 to 30, Level 2 to 99, Level 3 to 999. 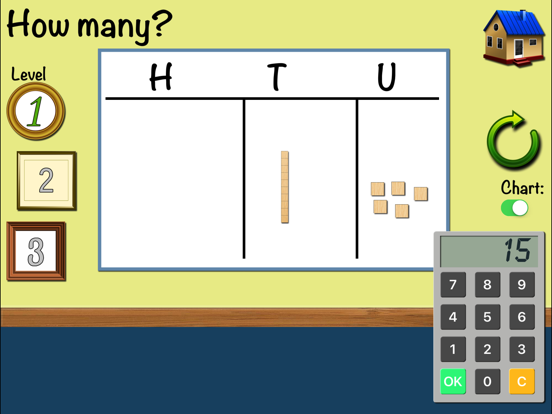 MAB is at the bottom of the screen, students must unjumble the MAB, placing in the correct position on the Place value chart. They then key in the correct number or the keypad (promoting calculator skills). Three Levels of increasing difficulty. Attempts to address numbers in which students make place value errors such as reversals 15 for 51, or omissions 520, 52 for 502 ,3009 for 309 and mishearing 13 for 30. The most important thing about place value is the language you use. For example 56 has 5 tens, which is really 50 ones, 590 has 59 tens (not 9), but if you model 590, you might ask, what is the digit in the tens place? There are many ways to make numbers from MAB, for example 23 could be two longs, three units or one long, thirteen units, or twenty three units. ALL of these are correct and important when addition with regrouping or subtraction with trading begins; however, two longs and three units could make it easier to count or read the number quickly. 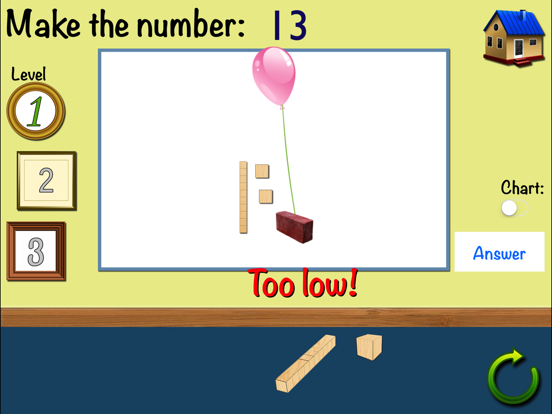 Little Monkey Apps Place Value compliments the use of hands on experiences for modelling using MAB blocks it does not and should not replace physical manipulation of real MAB blocks, unifix, sticks, beans or pencils.